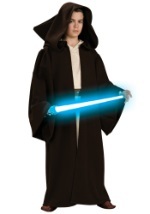 Join your fellow Jedi peers in the defense of the republic this Halloween in this super deluxe Jedi costume. 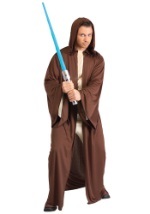 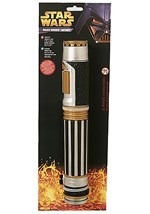 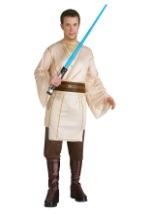 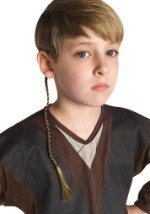 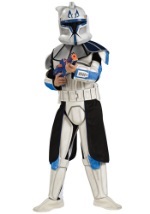 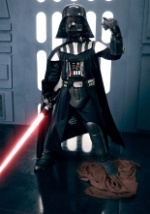 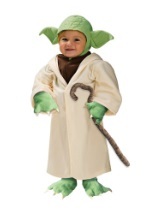 The authentic Star Wars costume comprises of a 100% polyester, highly detailed tan tunic with attached shirt. 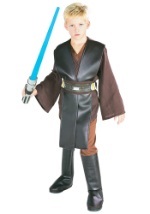 A pair of brown pants with elastic waist and fastened leather-like boot tops are also included. 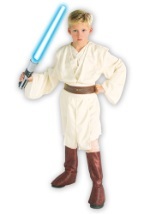 Plus, the child costume comes with a matching sash and rubber molded belt. 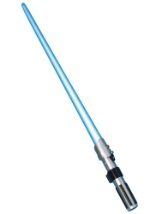 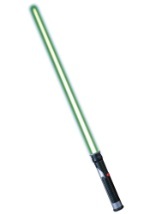 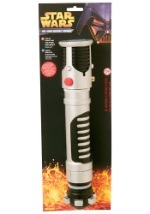 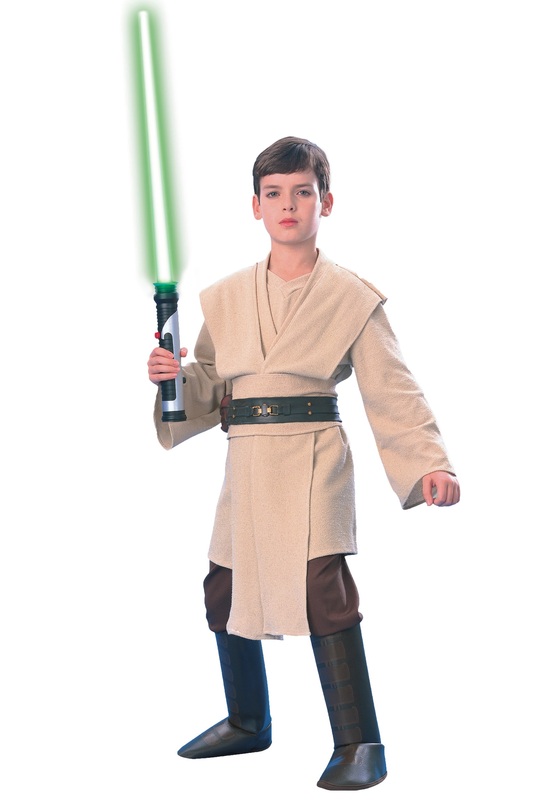 You'll be ready to use the force in no time with this super deluxe Jedi Star Wars costume!